Los Angeles is home to a diverse and eclectic array of architectural designs with influences from all over the world. The city features English inspired trends like Eastlake Victorian; various Spanish derived styles like Spanish-Moorish and Spanish Colonial Revival; there is also the amalgamation of various influences to create original styles like Mid-Century Modern and Hollywood Regency. As striking and attractive as those trends may be, they are a part of Los Angeles’ design past, the design of Los Angeles’ present and future needs to address modern needs like the housing crisis in the city, homeowners who want to expand their home, and sustainable, energy-efficient spaces. 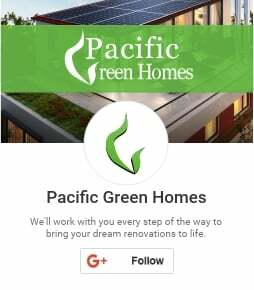 Pacific Green Homes is always at the forefront of architectural trends in Los Angeles, so if you are interested in any of those trends, then do not hesitate to contact us. These are designs that bring a little of the indoor to the outside and vice versa. This can mean spaces like fully equipped patios, decks, and courtyards. It can also mean outdoor versions of traditionally indoor rooms like kitchens, there are also specialized rooms like sunrooms or conservatories. These are both rooms with several large glass windows—and in some cases, a glass roof—that are designed to let in lots of outside light as the people in the room relax. The ultimate blurring of interior and outdoor spaces is the California Room. Also called a Florida Room, this combines the open air of a porch with the furnishings and amenities of an indoor room, such as sofas, a television, an open bar or a kitchen. A California Room usually has a roof and is open on one or more sides. This is a popular design trend in Los Angeles and other places with warm, temperate climates. This is a way to combine many different rooms into one large room; an example is a great room, which combines the family room and the living room into one large room. Open floor plans are becoming more popular because they facilitate a feeling of connection and interaction since each room—and its inhabitants—are in view of all the others. This also makes them great for entertaining since people can flow freely from room to room without having to pass through any doors. To prevent confusion or overlap, open floor plans are divided into zones that can be separated by pieces of furniture or area rugs. The housing crisis in California influenced this trend, since it is now easier for residents to transform their garage into a different room, or to add a new room to the house. Homeowners can choose to add a new living space that can be rented out or used by friends and family. They can also take the opportunity to add a home office, a home gym, or something else entirely, there are few limits. A room addition is a great choice if the homeowner needs more space but does not want to move to a new place and leave their neighborhood behind. The state of the environment has become a greater concern in recent years due to ever more dire predictions about the fate of the planet. Many homeowners are attempting to do their part by making their homes more sustainable via ensuring that it has a smaller carbon footprint. The use of solar panels is one way to help the environment since they use a clean, safe, renewable form of energy; they also help to lower the utility bill. Federal and state incentives, plus falling prices, have resulted in an exponential increase in the popularity of solar panels. Xeriscaping is another sustainable design trend that is gaining in popularity. This is the use of drought-resistant plants in the landscaping of the home, which reduces the need for irrigation and helps to conserve water. These design trends all put a priority on liveability and sustainability, two concepts that make any home more appealing and desirable. If you plan on implementing any of those trends for yourself, then contact Pacific Green Homes. We are well versed in the latest architectural trends in Los Angeles, so we can help to make your home into a masterpiece of modern design.